The Japan Association for the Promotion of Arts (JAPA) was established in 1981 with the objectives to promote far and wide interaction in fine arts, to foster creative activities founded on the traditions of Japanese culture, as well as to exchange works of art with other foreign countries that will contribute to the improvement and development of the culture of fine arts in Japan. With this aim in mind, this association has been carrying out various activities. Regarding international exchange in the culture of fine arts, we have held Japanese Art Program at Leiden University (the oldest faculty of Japanese studies in Europe was founded in 1855) in the Netherlands from 2005, and have sent artists as lectures. We held the Program that covered history, theory and practice side comprehensively in some fields of Japanese art in Leiden University to promote understanding of Japanese art in foreign countries. This project brings about great success and will hold the 7th lecture "Japanese woodblock printmaking (mokuhanga) " in autumn this year. At the same time, the Japanese Art Seminar is held for a target exceeding the student of the faculty of Japanese studies for the purpose of understanding of the Japanese culture to wide range of people. Japanese culture is more widely introduced through traditional fine arts of Japan. From Japan, a renowned woodblock print (mokuhanga) artist, Prof. MIIDA Seiichiro is dispatched as a lecturer this time. About the talk: Professor Miida will consider aspects of Japanese woodblock printmaking (mokuhanga), which originated from a long tradition of printed book publication and other printed matter, and also taking into account its heritage from watercolor and multicolor printmaking in East Asia. 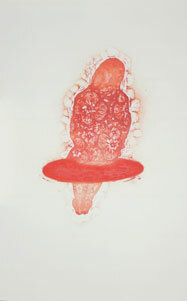 He will look into the conditions that allowed printmaking technique and ideas to develop, including attention to paper. Professor Miida will also discuss some of his own works with the audience. ●Fee Attending is free of charge but pre-registration is required. Please RSVP to: info@sieboldhuis.org with your name and e-mail address, and the purport of participation in English. Professor Miida will also deliver his lecture at The Royal Academy of Art, The Hague for students of the Academy. Professor Miida (1965) is a renowned woodblock print (mokuhanga) artist, with exhibitions both in Japan and abroad. He is affiliated with the Tokyo University of the Arts.